I want to give you value for money. There are no hidden extras when you call Dirtbusters. My price, whether it be for sofa cleaning works across Liverpool, carpet cleaning on The Wirral or rug cleaning in Warrington or if you need a carpet cleaner in St Helens is fully inclusive of what’s needed. Deep thorough cleaning – Stain removal – Moving furniture – Deodourising. Whether it be sofa cleaning in you home or carpet cleaning in your commercial workplace is done in a professional manner. Years of experience, coupled with state of the art specialist cleaning equipment that I have invested in will provide you with top quality results. Whether it be carpets, fabric sofas, leather suites, floor tiles or exterior jet-washing anywhere in Merseyside- I can help. There’s nothing worse than waiting in all day for a tradesman to call. When I give my customers a time for a cleaning job to carried out, I’m there at that time. In the rare instance that I am running late then I will always call ahead. Access is also no problem. I can offer my cleaning services in houses as we as in apartments. Customer service is very important nowadays. To be honest, the easiest and cheapest way for me to get cleaning work is by doing a great job, making my customer happy, and then getting repeat and referral work. Experience has taught me to be able to let my customers know how the carpet, sofa or tiled floor is going to go. If there is any kind of limitation with the job, I will always highlight it. The usual thing that stops stain removal from being successful (as an example) is the use of DIY stain removers. This is why I leave all of my customers my own stain remover bottles for future use. Multiple training courses give me different skills and approaches to the more challenging jobs. Whilst public liability and treatment risk insurance coverage gives us peace of mind. If the job in hand is in a commercial workplace, such as a factory, school, call centre etc, then I will always provide COSHH data sheets, as well as health and safety risk and method statements. 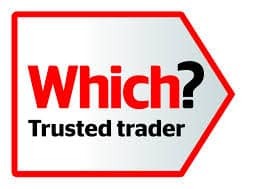 I have been awarded "Which Approved Trader Status"